Hanoi (VNA) – A workshop was held in Hanoi on August 31 to collect opinions from experts, manufacturers and businesses to build a decree on organic farming development in Vietnam. The event was organised by the Ministry of Agriculture and Rural Development and the European Trade Policy and Investment Support Project (EU-MUTRAP). Participants discussed the revision and modification of the set of standards TCVN 11041:2005 guiding the manufacturing, processing, labeling and marketing of organic food products. They also mentioned the strict management of manufacturing and business activities and certification of organic farm produce to ensure food safety, quality and origin of products. Incentives for businesses to invest in producing organic fertilisers, bio-fertilisers, microorganisms, and biological botanical products were another issue on the agenda, along with the development of brands and market for Vietnamese organic products. Former head of the Plant Protection Department under the Ministry of Agriculture and Rural Development Nghiem Xuan Hong said international treaties do not have particular regulations for organic products. Therefore, it is necessary to build a new set of high standards for Vietnamese organic products. He suggested investing in technical scientific research and supporting cooperative groups and cooperatives to switch to organic production. 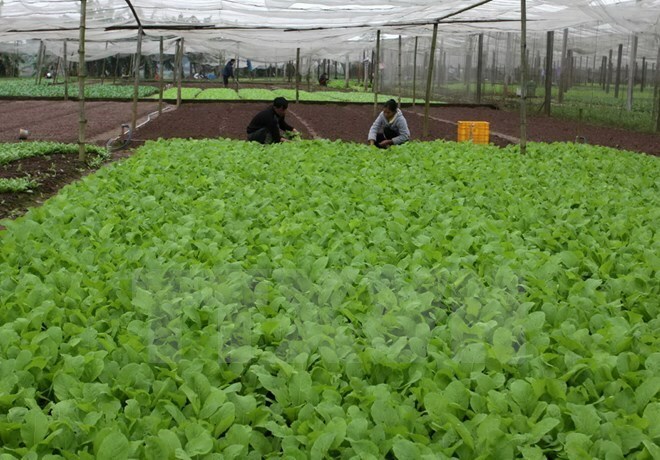 Dao The Anh, deputy director of the Institute for Food Plants, said in the near future it is essential to improve policies and legal regulations to boost the development of organic farming. He recommended promulgating and implementing policies to encourage organisations and individuals to join organic agricultural production such as exempting or reducing income taxes and providing incentives in land lease. Legal regulations on the management of production, certification and labelling must ensure harmonization between the specific conditions of Vietnam and regional and global regulations.